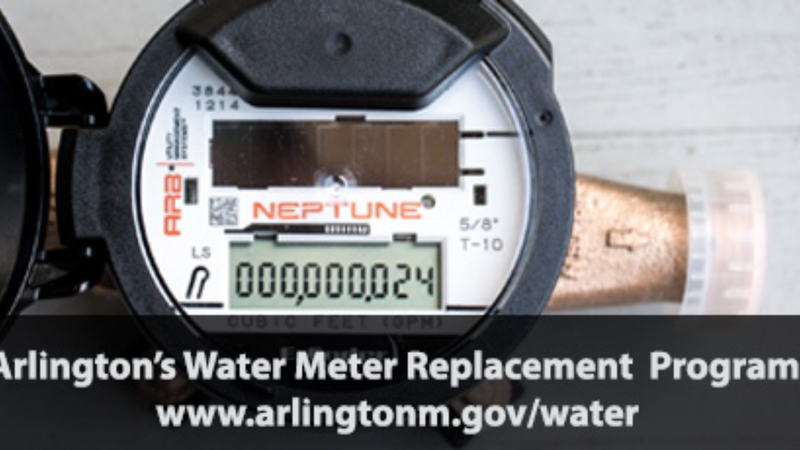 Town of Arlington water and sewer customers should be informed that the Town plans to administer a water meter replacement program through calendar years 2016 and 2017. Maintenance of water meters is critical to ensure that each customer is billed fairly for the portion of water and sewer service that they use. The new water meters also include features that will support the Town’s goals of improved customer service. No fee will be charged to customers for this service. During the water meter replacement process the installer will conduct a brief evaluation of each building’s basement or lowest floor to identify sources of inflow. Inflow is rainwater that enters the sewer system through a piping mistake that directs water to the sewer system instead of the drain system. Inflow substantially increases the amount of flow in the sewer system and can overload pipes causing sewer backups and overflows. Sump pumps that are connected to the sewer system are considered sources of inflow. These connections are not allowed under the Massachusetts Building and Plumbing Codes and the Town’s Sewer Use Regulations. If sump pumps connected to the sewer are identified, property owners will be contacted at a later date with requirements to remedy the situation. Prior to beginning work in an area, notices will be sent to customers informing them of the program and asking they call or email to schedule a service appointment. Town personnel will also solicit access door-to-door, or via telephone call, if mailing efforts are unsuccessful. In order for an installation to take place, someone 18 years of age or older must be present at the time of installation. Town installers will have identification badges displayed at all times. Installers will be driving marked Town vehicles. We encourage you to always ask to see ID before allowing anyone in your home. Sherborn Library Summer Reading Program Sign up On Your Mark, Get Set… Read!